Turn any holiday "Bash" into a celebration. 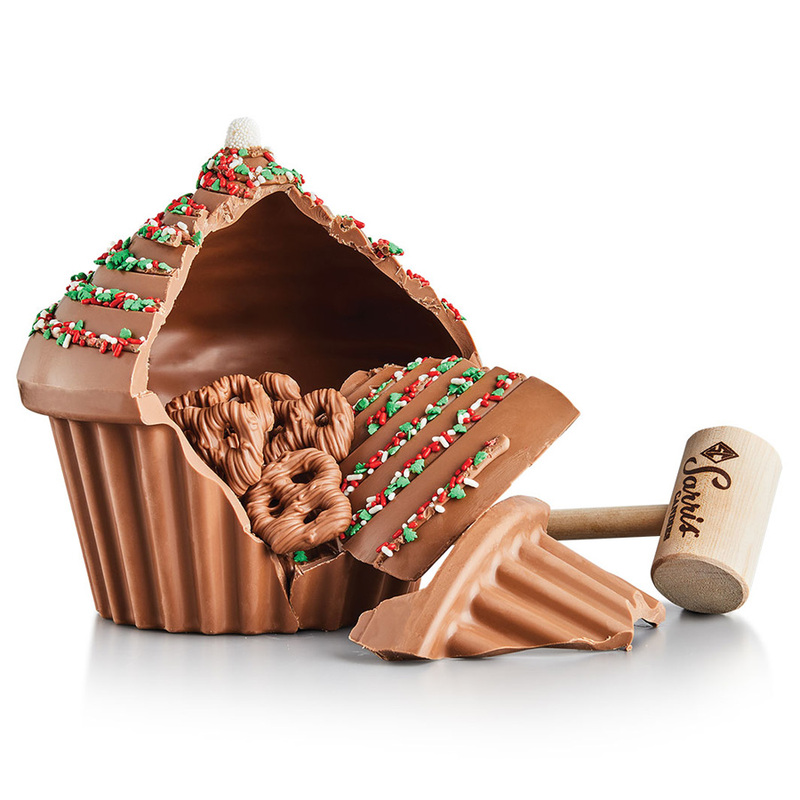 Our holiday themed BashCake® is a table top chocolate pinata filled with 8 oz. of Milk Chocolate Covered Mini Pretzels. Use the wooden mallet to break the shell for an explosion of taste to make your party a "hit." Each BashCake® is handmade and hand decorated. Individual weights may vary slightly.